Here is my progress so far (actually, I've already finished it, but I thought I'd post my own half-assed tutorial even though there are already some better ones out there). The first picture shows the rear end of the flat. The distance between the walls of the AK receiver should be 1.25 inches exactly. Measure both ends and make sure it's centered and then mark. It doesn't matter if its off (see lower picture, figure 5), my ak managed to function fine even though it looks like it was beat up by a retarded monkey. The next step was to get a strip of 1.25 inch metal from home depot. I drilled holes in it and bolted it to the receiver flat. NOTE: There should be a 1.25" strip of metal on the top AND bottom of the flat. I don't know why the picture shows only one side with a strip of metal. After bending it by pounding it with a rubber mallet, I put it in a bench vise to squeeze the sides together. Figure 2 shows the rear trunnion section. I was trying to sharpen the corners out here. 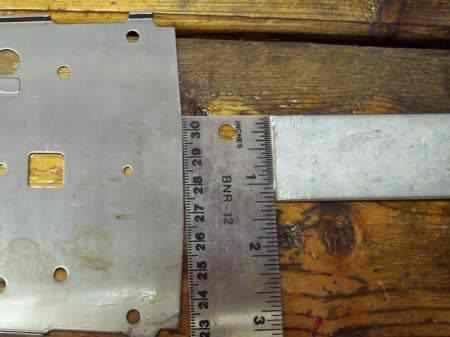 Figure 3 shows an aluminum block I bought from Harbor Freight. I found out this works better for sharpening the corners than the method in figure 2. 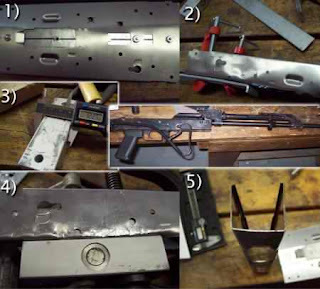 Figure 4 shows the aluminum block attached to the receiver. I used a plain old hammer the beat the corners into shape. Keep making sure the holes line up! Hammering the edges is your last chance to make any corrections to your receiver if you didn't fold them in the right place. After you're done, it should look something like this in figure 5. Next step is to harden the axis pin holes and the ejector rail with a mapp torch.